Of all the occasions I dress for, dressing to travel is one of the most difficult. Balancing style with comfort and practicality is a hard line to walk. Luckily, I've been flying since I was 13 days old, and have picked up a couple of tricks to doing so in the appropriate clothing. Photos via: Vanilla Extract, Cara Loren, Thirty Something Fashion, Seeking Sunshine, and The Teacher Diva. Whoever said leggings can't be pants just didn't want you to be comfortable. Leggings are ideal to wear when traveling because they're the perfect layering item and are simply comfortable enough to spend an otherwise uncomfortable day in. Photos via: FIGTNY, Southern Curls & Pearls, Fashion Me Now, and CollegeFashionista. 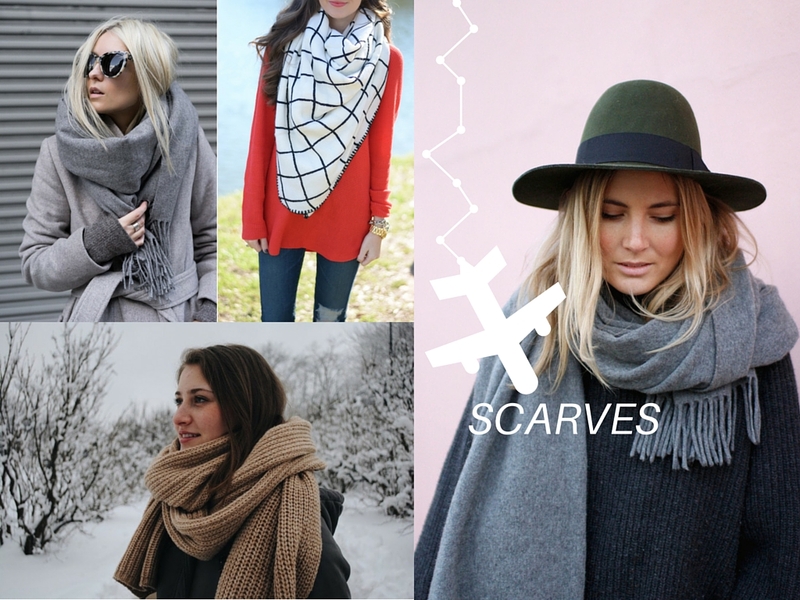 If you're traveling somewhere a little chillier, a scarf is a must-pack. Save room in your suitcase and give yourself a built-in pillow by wearing a scarf on the plane. 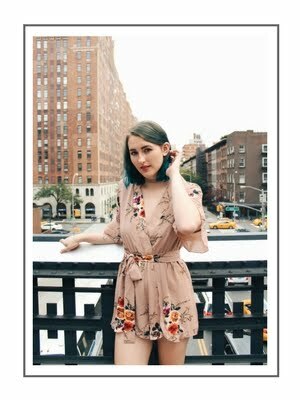 Photos via: The Fox & She, Creators of Desire, The Quarter Life Closet, My Style Vita, and Prosecco & Plaid. No one likes airport security. Make the process a little easier on yourself by wearing shoes that are easy to slip on and off. Just don't forget to pair them with socks: you definitely don't want to walk barefoot through the metal detector! Photo via: By Olina, Creators of Desire, Looks by Lau, Lindsay Marcella, and Somewhere, Lately. Layering is essential when traveling for two reasons. First of all, wearing as much as possible leaves that much more room in your suitcase. 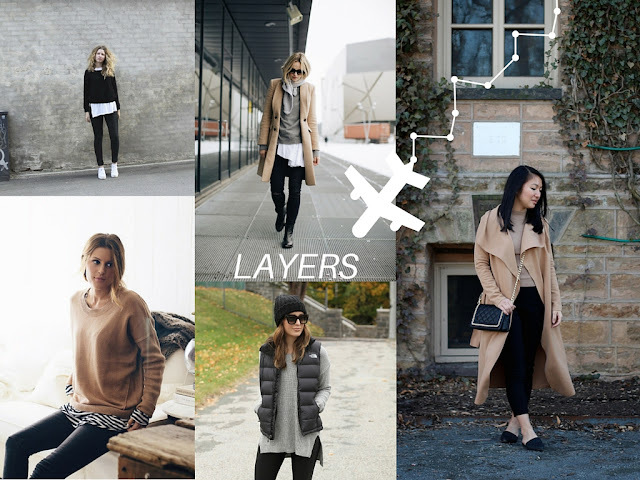 Second of all, layering will help you adjust to the temperature changes from one place to the next; especially if you're traveling somewhere cold or if you get chilly on airplanes. Photos via: Natalie Dressed, Mimosas and Manhattan, Lucitisima, Brooklyn Blonde, and Sweet, Short & Stylish. 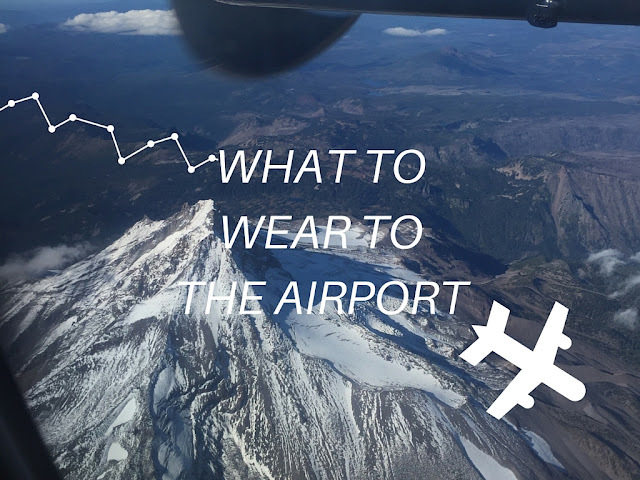 This is essential when dressing comfortably to travel. 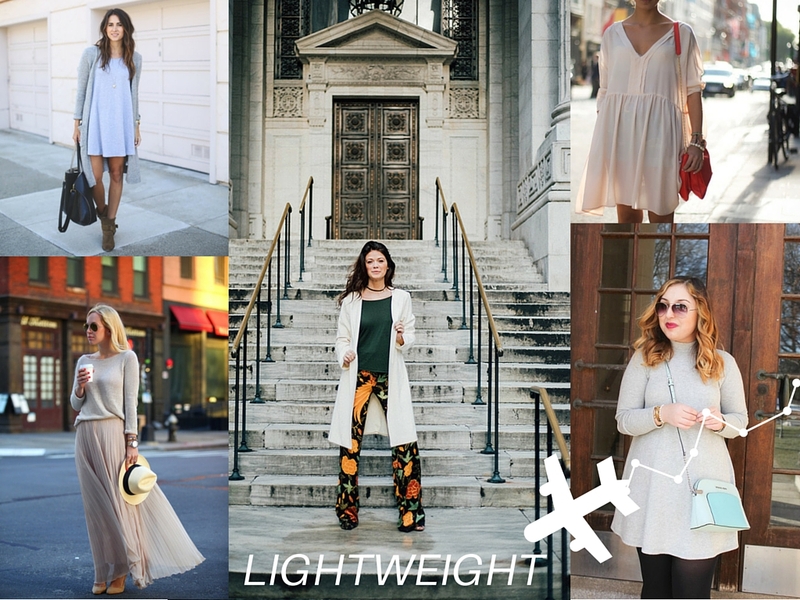 Lightweight and loose-fitting clothes let you look cute without sitting in a seat for hours on end with your clothes digging into you.